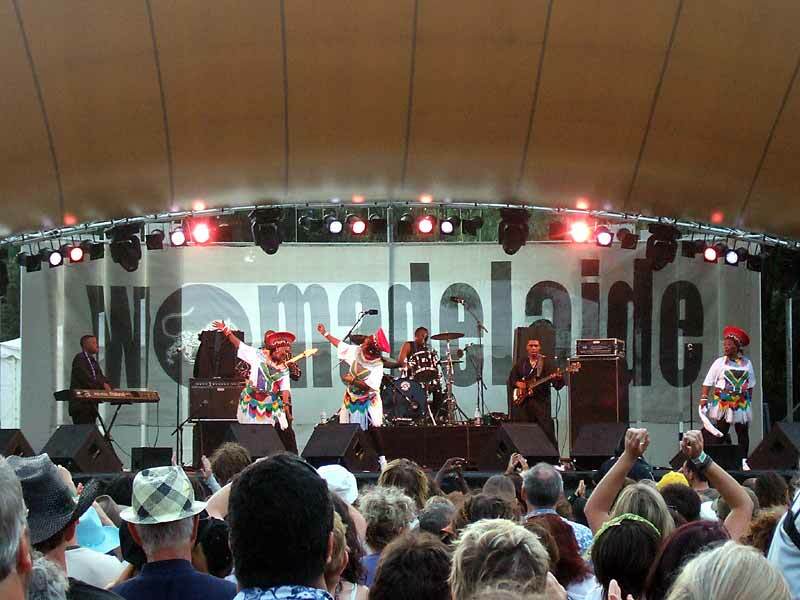 Womadelaide festival 2007; The Mahotella Queens. Stage One Sunday 11th March 5:15 pm. 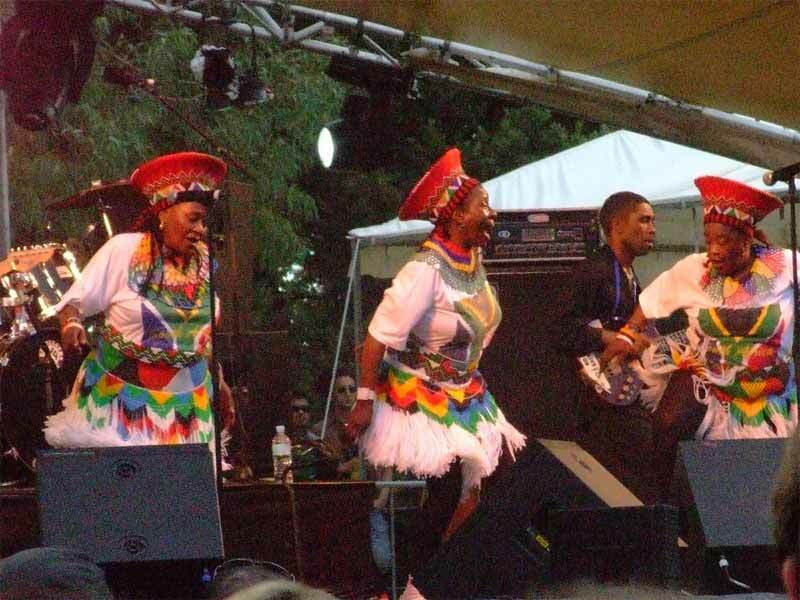 I was looking forward to seeing these gracious ladies again as I had really enjoyed their sets at Womadelaide in 1993. 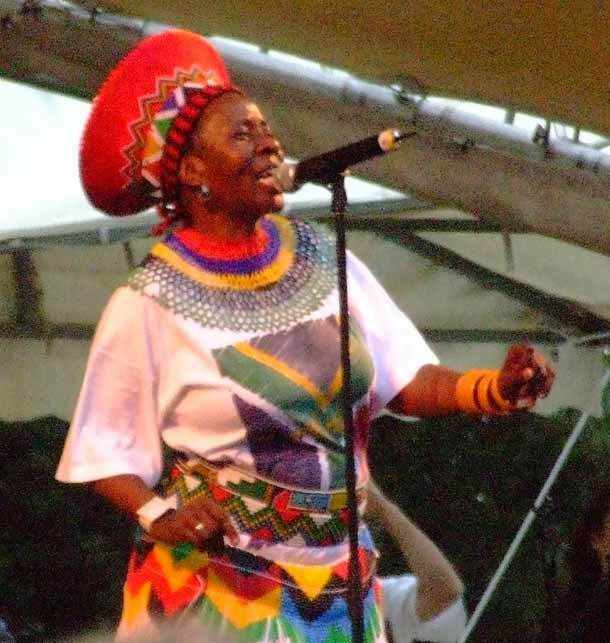 However, I must admit that there was something missing in the new lineup and that something was Simon "Mahlathini" Nkabinde- the "Lion of Soweto " and he was something to see and hear , even in his late fifties. 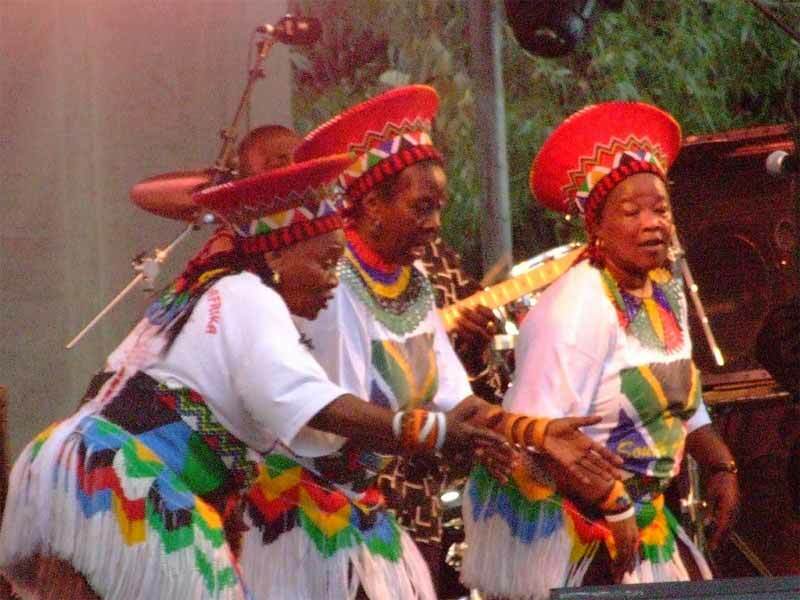 Now for those of you who aren't familiar with the story, the original band was called Mahlathini and the Mahotella Queens, Mahlathini had an unbelievably deep bass voice and this counter pointed the frenetic voices of the three female vocalists perfectly. In 1993, the band, which had been around for decades, were pretty much on top form and I found their performances joyous ,energetic and uplifting . However, bad times came along and within three years, death was to claim no less than three of the main players within the band . In 1998 West Nkosi was killed in a road accident. 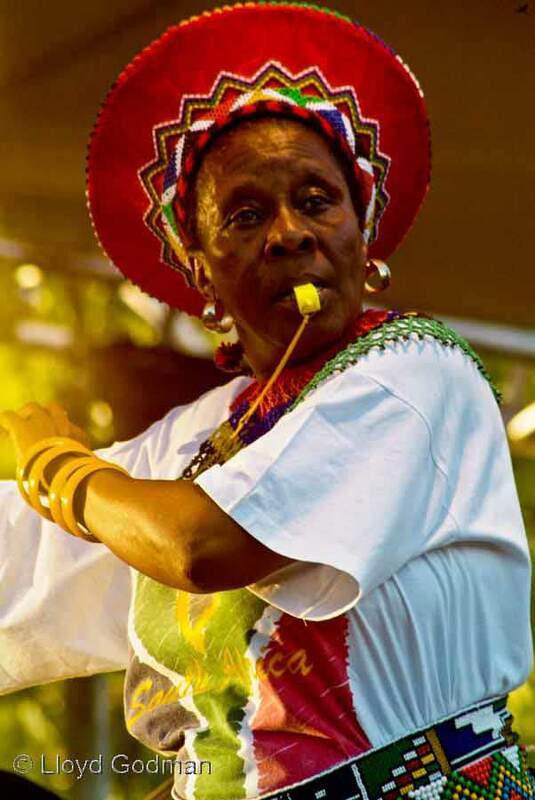 Marks Mankwane died not long afterwards , but the capper was the death of Mahlathini in July 1999. 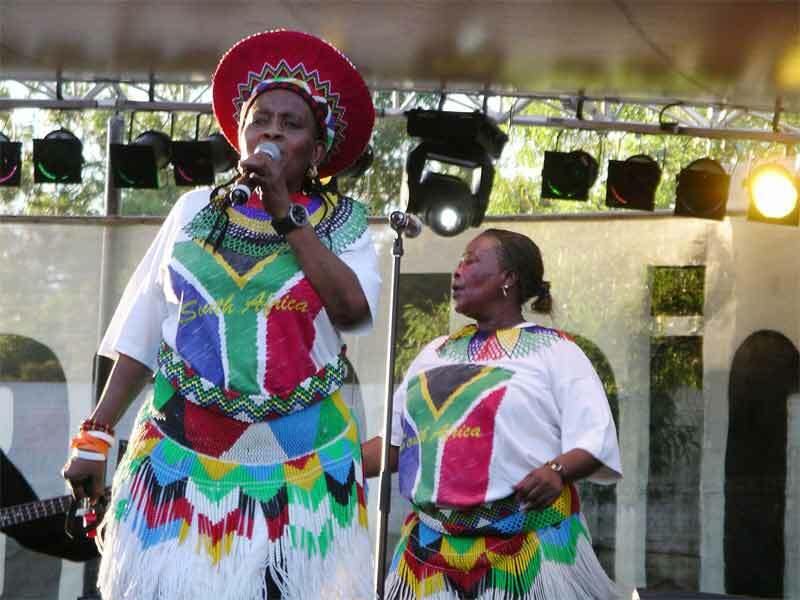 The three vocalists, Hilda Buthelezi, Nobesuthu Mbadu, and Mildred Mangxola soldiered on with a new band and they still deliver, but despite enjoying their show to some extent, I just thought that perhaps they were now too old to really reach the heights to which they once aspired.